We have heard of this concept in many of the cars but not really so much for bikes. 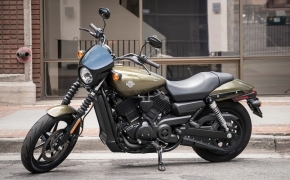 Though there are some bikes which do come with cruise control, but they all are either the absolute top of the line on the bike food chain, else they cost an absolute bomb. Whatever might be the case, the bottom line is, cruise controls are expensive. But then there are various aftermarket fits available as well. Sadly there are really rare offerings available in India, but you can always get some flown in from abroad if you are that loaded or curious or simply a huge fanatic of cruise controls. But before all that lets check out what exactly is cruise control and how it works. Cruise Control is a tech available for many a cars and a few rare bikes. The basic use of cruise control is to keep your vehicle running on a steady speed, irrespective of the conditions and the terrain. 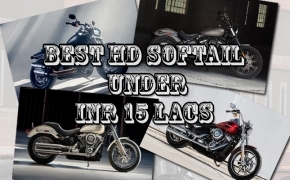 It is actually a computerized unit which needs to be paired with your bike’s ECU so that the data can be fed accordingly and the speed can be controlled likewise. Now theoretically cruise control can be fit on almost all bikes, but for the best results the bare minimum requirements for cruise control are Fuel Injection and Ride by Wire technology. These two have been covered in our previous articles, so do refer them for more information on the same. Now fitting of a cruise control is a really complicated task, so I am not going into complete details of those here. 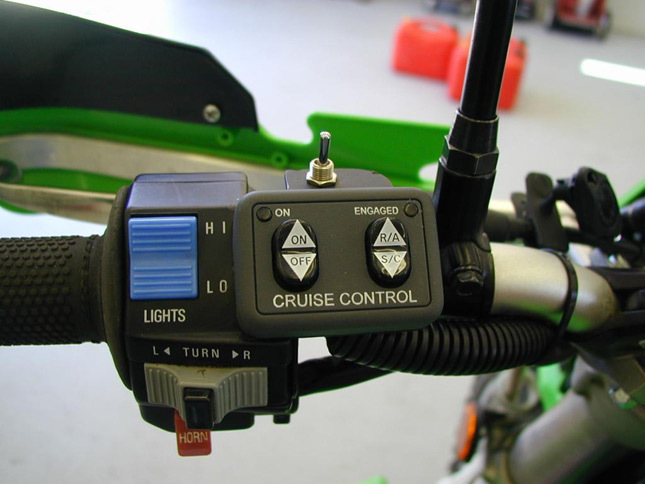 But just to name the basics, the cruise control gets a control unit which you have to set on the top of the bike so that you can manage the settings. The main backend unit of the cruise control has to be set on the inside of the bike depending on where you get space, but always as away from the engine as possible. Then there are lots of wires that go into it which has to be connected to the ECU, the Speedometer and the FI unit as well (this is not available in all the cruise control units, depending on the manufacturer the units vary). When the cruise control kicks in, there is a need to calibrate it according to the bike’s power output, the torque curve and the rest of it so that the cruise control’s computer is in proper sync with the throttle input, the speedometer reading and the ECU to control the bike at a particular speed. When all this is done, you are good to go cruising on long hauls without straining your wrist. How Motorcycle Cruise Control Works? Now comes the real test, riding it in real life conditions and the working of a cruise control. Most of the cruise control units come with an auto cut-off system. When the speed of the bike fall below 60-80% of the specified speed, the cruise control cuts-off automatically and the rider has to take charge in such cases. 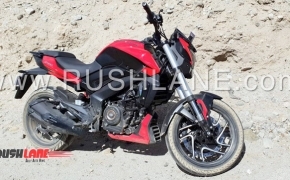 So if you are going up a steep slope and the speed specified is say 60 Kmph and the steep gradient is too high resulting you to apply brakes to slow down to say 35 Kmph, then the cruise control unit will cut-off and the rider will have to gas the bike on his/her own. So do make sure to calibrate your bike accordingly. When you are riding down a straight or on a freeway, then in that case the cruise control is really helpful to relax for a bit. One of the biggest problems faced by riders that cause huge fatigue is wrist cramps/stress. So cruise control helps here because by setting the cruise control at a certain speed, you can simply let go off the throttle completely as the cruise control takes care of the fueling to the engine and hold a steady speed. This allows you to simply rest your wrists without any worries of speed drop or anything. The cruise control unit detects the speed that you have entered inside the control unit. It then matches the speed on the speedometer reading to make sure they are the same. It then syncs with the ECU and FI unit to manage the fuel supply to the engine to make sure the specified speed is met with constantly and hence it works in complete tandem with the system. 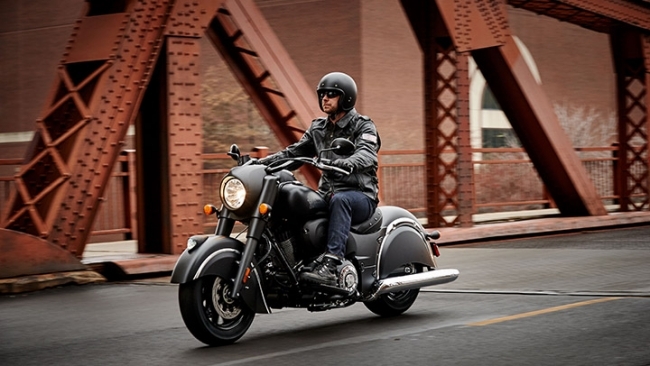 With Cruise controls, you can even notice a certain increase in fuel efficiency of the bike. This is because the cruise control manages the fueling in the most optimum way to ensure only enough amount of fuel is used to manage that specific speed and if the speed seems to increase, it cuts off the fuel and hence helps save fuel. When going uphill, the cruise controls allows more fuel inside to generate power so as to keep the steady speed while going downhill it cuts the fuel supply accordingly to keep up to the steady speed. This is how cruise control works. 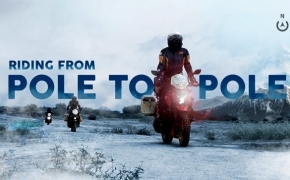 It completely takes away the hassles of a rider to maintain a speed which is never really possible practically as it will either go up or down but never stay steady. So this is how cruise control on motorcycles works. 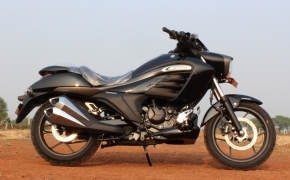 It is a good idea to have one on your bike if you can get it and afford it because if you are the types of going on a long haul, cruise control really helps a lot and most importantly it helps the rider relax and not get tired easily.